Best F1 Driver Of All Time? | WhatPoll? Home > Sport > Best F1 Driver Of All Time? Who is the best F1 driver of all time? Statistically it would be Michael Schumacher with 7 F1 world drivers titles, but what about the likes of Ayrton Senna, Jim Clark, Sir Jackie Stewart, Sir Stirling Moss, Fangio and new comers like Lewis Hamilton and Sebastian Vettel? Racing is a passion, who's the best? @Gremlin. Schumacher started his F1 career in a Jordan not a Benetton. These Christian Louboutin Sale are recognized, Christian Louboutin Pumps are accustomed on annual of their characteristic detail, yet antic additions accord just the appropriate addition to such accepted Christian Louboutin Boots . Worn by the affluent and arresting Christian Louboutin Sandals are usually empirics in magazines at the cine awards shows. Do you class him as one of the best F1 drivers of all time... I think not! I wonder if Mr. Button will make an appearance in this poll!? 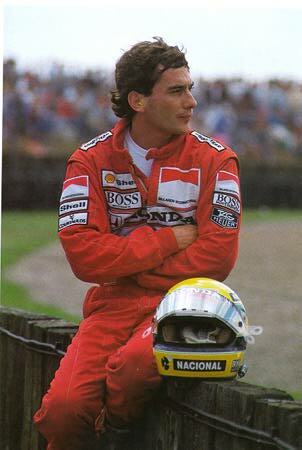 Senna born in 1960 and had an untimely death in 1994 doing what he loved, motor racing. Senna started his career of like many others, in karts and then progressed into single seater in Formula Ford. in 1983 he went on to drive in the British Formula 3 championship winning it. This then have him the stepping stone in to F1 in 1984. Senna competed in 161 races with 41 win and 65 pole positions. He won 3 world champion drivers titles before his sad and untimely death during the 1994 San Marino Grand Prix. Fangio who born in Argentina in 1911 dominated the first decade of F1 racing. He won four drivers world titles each with a different team- this has not been repeated since. In his early racing career he drove a Ford Model A and then a Chevrolet. Fangio unlike many others starter his career at a far later age often being the oldest driver in the field. Fangio races in F1 from 1950 - 1985 but missing the 1952 season. He had 51 starts with 24 wins. 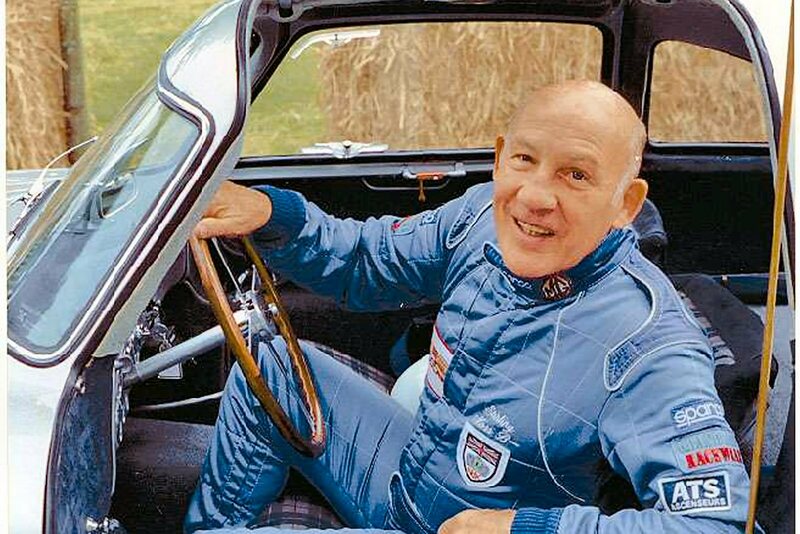 Fangio sadly died in 1995 ages 84. Schumacher started learning his trade early and at the age of 4 had his own kart, he then went up the ranks through karting and secured a Formula 3000 drive in 1989. Subsequently his F1 career started in 1991 with Benetton whom he secured 2 world championships with before moving to Ferrari in 1996 gaining another five titles before retiring in 2006 as statistically the best driver in F1. He made 249 race starts producing 91 wins, 68 pole positions and 76 fastest laps. Clark (1963 - 1968) made 72 race starts, 25 wins, 33 poll positions and 28 fastest laps. Clarke started his career racing in local Scottish road rally's and hill climb events. in 1958 he meet Colin Chapman who was impressed enough to give Clark a drive in one of his Formula Junior cars. Clark's life came to a tragic end in 1968 during a Formula Two race in Germany. Hakkinen claimed 2 F1 drivers world titles in his career from 1991 to 2001. Mounting up 20 race wins and 26 pole positions. Hakkinen came up the karting ranks, then the Opel Lotus Euroseries, British Formula Three and then entering Formula One with Lotus. After F1 he raced in the German DTM series before retiring in 2007. Sadly in 2008 his house cough fire burning his trophy cabinets and all of his trophy's from over the years along with his pet tortoise. Gilles Villeneuve was a world famous Canadian racing driver. He was hooked on fast cars from a very early age. His professional motor racing career took of racing snow mobiles, he then moved into four wheeled single seater's and won the US and Canadian Formula Atlantic Championship in 1976. Following this Villeneuve was offered a drive in F1 from McLaren in the 1977 British Grand Prix. For the remainder of the 1977 season to his untimely death in 1982 he drove for Ferrari. In all he won 6 Grand Prix. Stewart competed in F1 between 1965 and 1973. He won 3 drivers world titles. In early life Stewart put his efforts towards shooting attempting to make the the British trap shooting Olympic team of 1960. Stewart first started racing competitively in 1962 racing an Aston DB4GT. He turned pro the following year and racing in Formula Three. In 1965 he signed at £4000 F1 contract with Lotus. In F1 he made 99 starts, 27 wins with 17 podiums. Alonso is the 2005 and 2006 F1 drivers world champion. 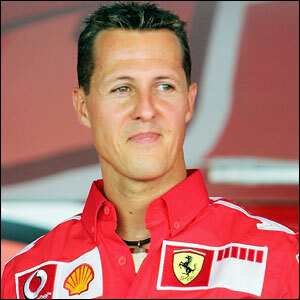 With a contract signed for Ferrari in 2010 will he make this 3 titles? Alonso got the racing bug from his father- an amateur kart racer. In early life Alonso raced in karting event around Spain He then progressed in 1999 to the Euro Open MoviStar by Nissan series and subsequently for F3000. Then in 2001 he progressed to F1 were he achieved 21 wins and 18 pole positions to date. 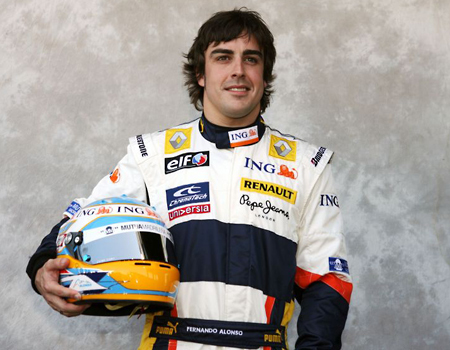 I wonder what 2010 has to offer Alonso? Moss grew up in a family with a history of motor sport so his career path in life was obvious from an early age. Moss competed in in F1 from 1951 to 1961 winning 16 races with 19 fastest laps. Mansell's F1 career saw him take part in 15 seasons, the most memorable of course being 1993 when he won the world drivers title. He is the most successful British F1 driver to date with 31 wins. Mansell suffered a huge crash at Brand Hatch racing in Formula Ford breaking his neck, doctors told him he'd never race again but Mansell came back beating the odds to secure a drive with the Lotus F1 team in 1980. As they say the rest is history! Hamilton was signed up by the McLaren young drivers support programme at the age of 13 whom supported him throughout his karting career. After karting he went on to drive in British Formula Renault, Formula Three Euroseries and GP2 before making the step in F1 in 2007. In his first season he lost the drivers world championship by 1 point- subsequently beating Massa the following year by the same deficit to be crowned the youngest ever world champion. To date Hamilton has made 52 race starts with 11 wins. Vettel started racing kart's in 1995. In 2003 he progressed to Formula BMW and the following year into the Formula Three Euroseries. He then tested for Williams as well as the BMW Sauber team for his success in Formula BMW a year previously. Vettel then became BMW Sauber's third driver in 2006. He impressed in testing a gained a race seat in 2007. 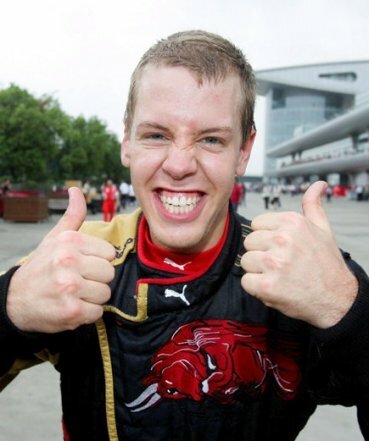 Vettel is the youngest ever driver to take pole and win a grand prix. He has 5 wins and 3 pole positions to his credit. Button got the racing bug from his father, John- a former rally cross driver. he first drove a kart at the age of 8. at the age of 18 button progressed into cars and raced in the British Formula Ford Championship. In 1999 Button raced in Formula Three. Button then signed for the Williams F1 Team in 2000. He then drove for Benneton, Renault, BAR and Honda before joining Brawn in 2009 to take the drivers title.